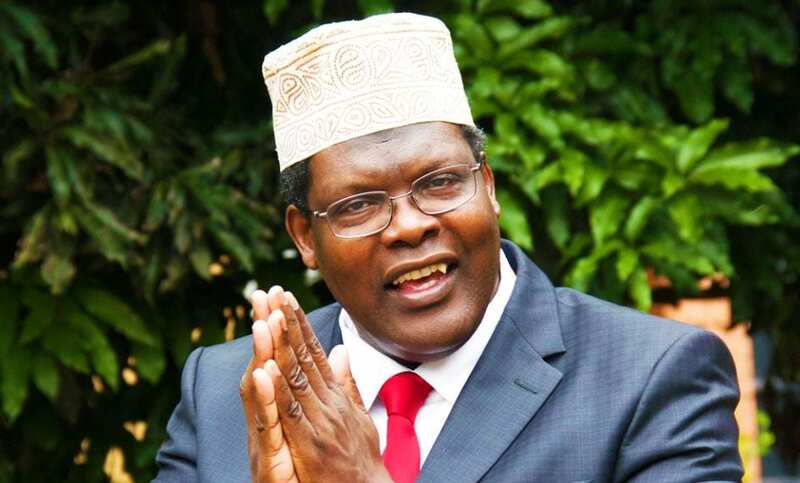 Friday April 12, 2019-Self-proclaimed National Resistance Movement (NRM) general, Miguna Miguna, has celebrated the removal from power of Sudan's President Omar al-Bashir. The 75-year-old was on Thursday dethroned by armed forces and put under house arrest following months of nationwide protests calling for his resignation. Sudan's strongman was ousted days after his Algerian counterpart President Abdelaziz Bouteflika was forced to resign after ruling the North African country for 20 years. Following the developments, Miguna asked patriotic Kenyans to 'mobilise and organise' and get ready for a people's revolution. "To the Kenyan patriots and other Pan-African revolutionaries all over Africa, from South Africa to Egypt, mobilise, organise! Never give up because our cause is just," Miguna wrote on his Twitter page. Miguna said just like in Sudan where citizens executed a bloodless coup, Kenyans should not fear to take a revolutionary action since 'popular people power always trump over despotism'. "As I have always stated, no army, police or security forces can shoot a million fearless popular protesters. Freedom, justice and revolution always win," he said. Kenya has a thief for presidency. Shithole.